We are writing with the smell of tear gas rising from our fingers. The springtime symphony of birdsong is punctuated by the explosive echo of concussion grenades. Our eyes are watering, less from the gas than the sadness; because our friends’ homes, barns, and organic farms are being destroyed. Bulldozers, supported by 2500 riot police, armored vehicles, helicopters and drones, are rampaging through these forests, pastures and wetlands to crush the future we are building here on the to the zad (zone à defendre). We are calling on you to take solidarity actions everywhere, it could be holding demos at your local French embassy or consulate, or taking actions against any suitable symbol (corporate or otherwise) of France! And if you are not too far away, bring your disobedient bodies to join us on the zone. If the French government evicts the zad, it will be like evicting hope. For fifty years, this unique chequerboard landscape was the site of a relentless struggle against yet another climate wrecking infrastructure — a new airport for the nearby city of Nantes. Farmers and villagers, activists and naturalists, squatters and trade unionists wove an unbreakable ecology of struggle together and three months ago on the 17th of January, the French government announced that the airport project would be abandoned. But this incredible victory, won through a diversity of creative tactics from petitions to direct action, legal challenges to sabotage, had a dark shadow. In the same breath that declared the abandonment, came the announcement that the people occupying these 4000 acres of liberated territory, the 300 of us living and farming in 80 different collectives, would be evicted because we dared not just to be against the airport, but its WORLD as well. Since that victorious day, the battle has transformed itself and is now no longer about a destructive infrastructure project, but about sharing the territory we inhabit. We stoped this place from being covered in concrete and so it is up to us to take care of its future. The movement therefore maintains that we should have the right to manage the land as a commons (see its declaration "The Six Points for the Zad" because there will never be an Airport). Today this is the struggle of the zad of Notre Dame Des Landes. In 2012 the French state’s attempt to evict the zone to build the airport was fiercely resisted, despite numerous demolitions 40,000 people turned up to rebuild and the government withdrew. 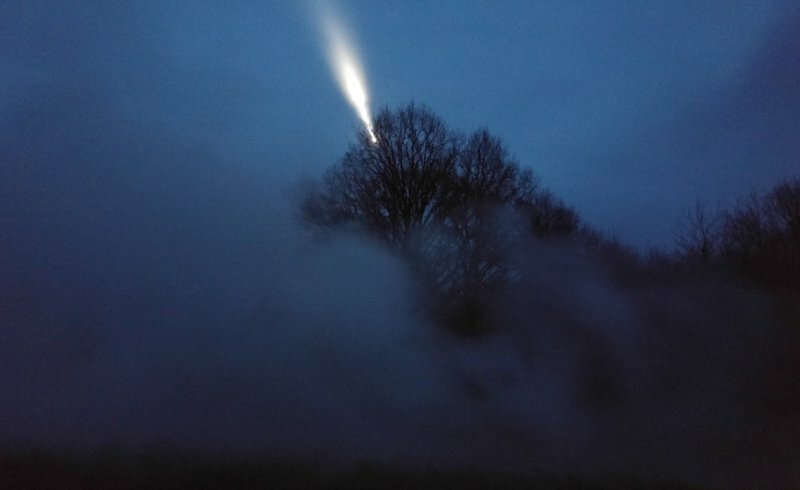 The police have not set foot on the zad since, that is, until Monday morning, when at 3 am the gendarmes pierced into the zone.